Zulucow’s cowhide travel bags in ‘Tatler’ and ‘The Times’! If you’re going to the in-laws this Christmas, and you want to create a stir, why not make an entrance with Zulucow’s gorgeous new cowhide travel bag which is featured in ‘The Times’ and ‘Tatler’ no less, this month, don’t you know?! I was ecstatic to read over my cornflakes on Saturday morning, that The Times Travel Christmas Gift Guide 2015 had selected my new ZC cowhide travel bag (or weekend bag) for their hand-picked coveted Xmas gifts. There it was looking v smart, alongside a swanky Voyage trolley case at £1150 (!) Aspinal luggage labels at a mere £165; and a fun cork globe; £100 from notonthehighstreet.com. Ooh those people at the Times have taste and flair! ‘Want a bag with a conscience? You can’t say fairer than this South African leather-and-cowhide holdall – handmade, sustainable, all terrifically fair and square, £350. zulucow.co.uk” TATLER, TRAVEL GUIDE 2016 Out now! It’s a real boost to Ma Beatrice and Ma Philippine in Zululand. 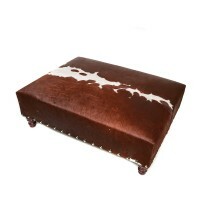 Their talented team of Zulu craftswomen and men, have finely crafted each individual ‘Thandeka’ Travel Bag, out of a sumptuous, soft, natural leather and striking, ‘head-snapping’ cowhide. 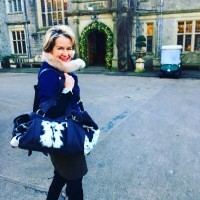 Zulucow’s travel bag is definitely a statement piece whether trotting down Bond Street, gliding down Meribel’s slopes or arriving at a weekend party in the Cotswolds. Marlborough of England have smart handmade leather travel bags manufactured in the UK – not a sniff of funky cowhide, but v smart none the less. Aspinal are also renowned for their smart travel bags, but they’re a bit too conservative for my liking, and with a serious price tag to boot. notonthehighstreet.com have some leather travel bags too, but again I prefer an injection of funky cowhide to make the bag eye-catching. 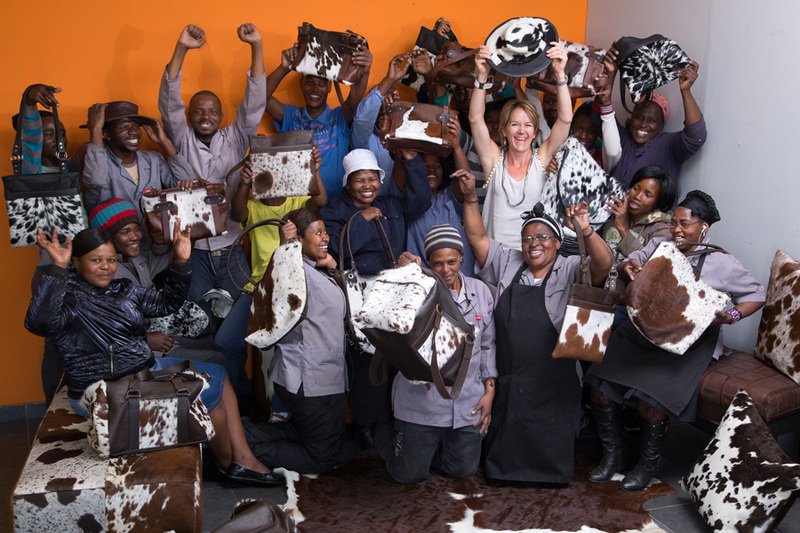 This December we’re travelling as a family to visit all the Zulu ladies and men, who make Zulucow’s leather and cowhide products. 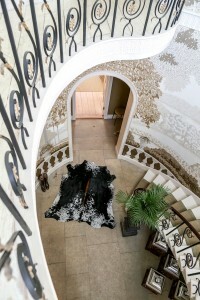 We’ll be thanking Ma Philipine, Ma Beatrice and team for their creativity and care. We’ll be introducing our children to their children. 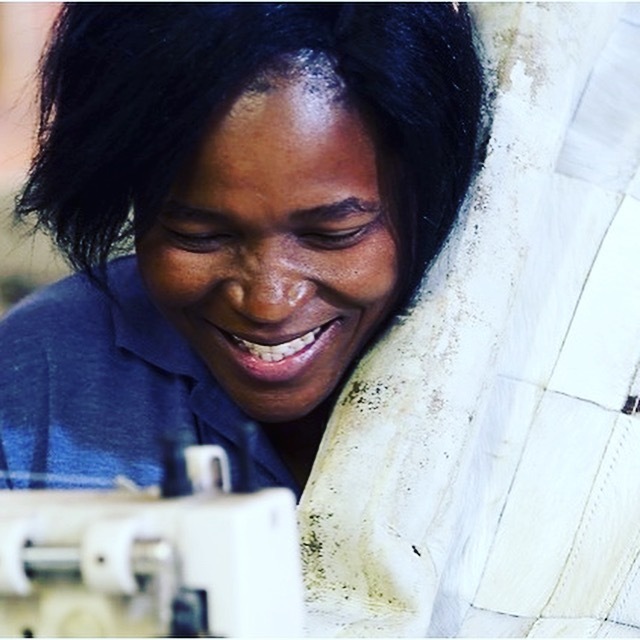 We’ll be exploring all the ways Zulucow can continue to create sustainable jobs and provide invaluable income. From my visit in the summer, I was quite taken aback by the warm hugs and greetings I received from the ladies. Your orders make a huge difference to their lives, creating proper long term employment. Approx 67 talented Zulu women and men finely cut and sew my ZC leather products by hand. Jobs are hightly sought after in this part of rural SA where unemployment can reach up to 70%. So thank you for your orders and continued support!